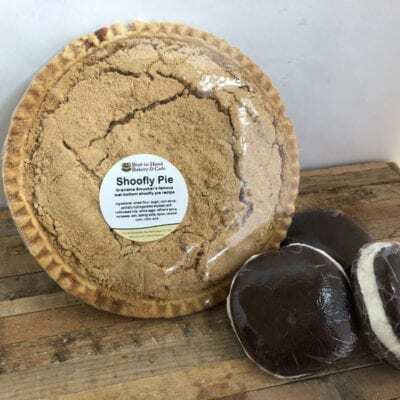 A delicious twist on our traditional Pennsylvania Dutch treat, our Limited-Edition Chocolate Shoofly Pie makes a unique Valentine’s gift for the chocolate lover in your life. 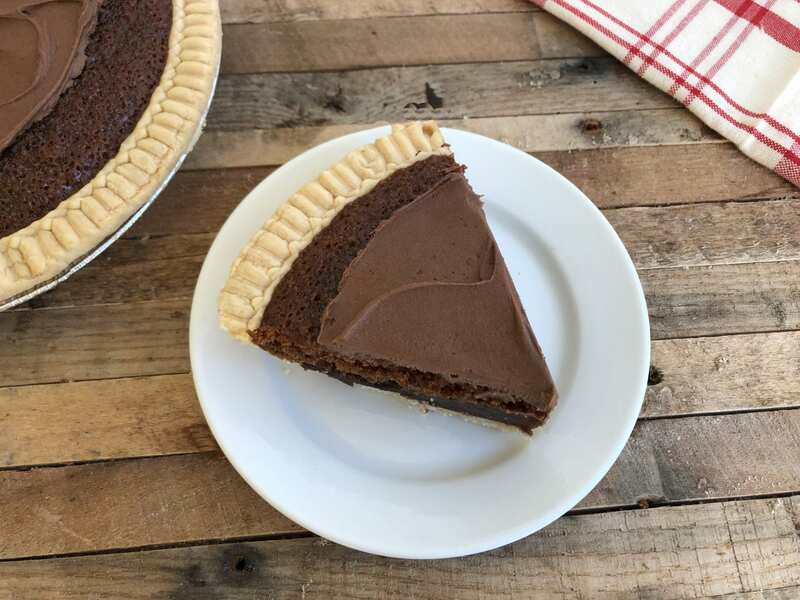 The moist bottom layer combines real sugar, fresh eggs, butter and vanilla with cocoa for a rich, chocolate flavor. 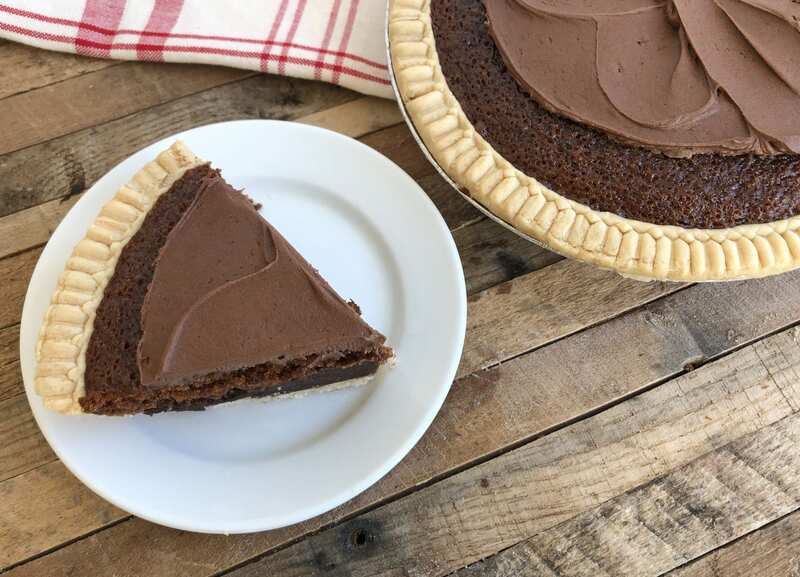 That’s topped with a fluffy layer cake with cocoa, brown sugar and cinnamon. 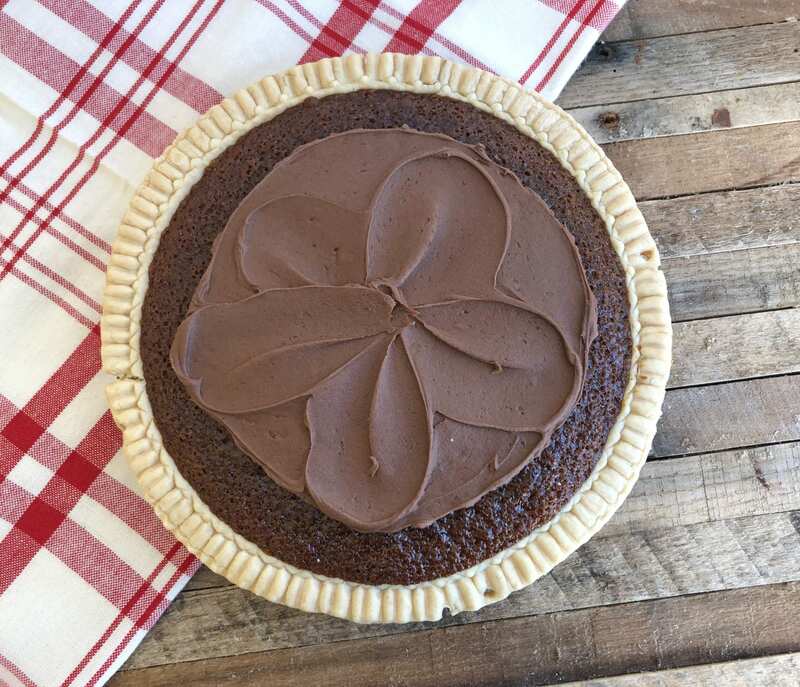 That’s all baked in our famous pie crust, scratch-made from Grandma Smucker’s recipe, and finished off with a layer of chocolate icing. 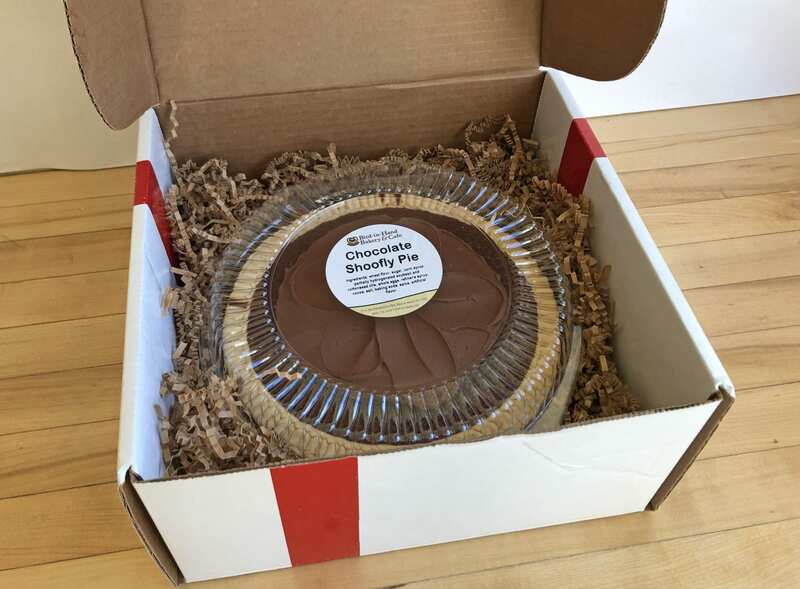 Don’t miss out on this delightful treat – available for a limited time only. 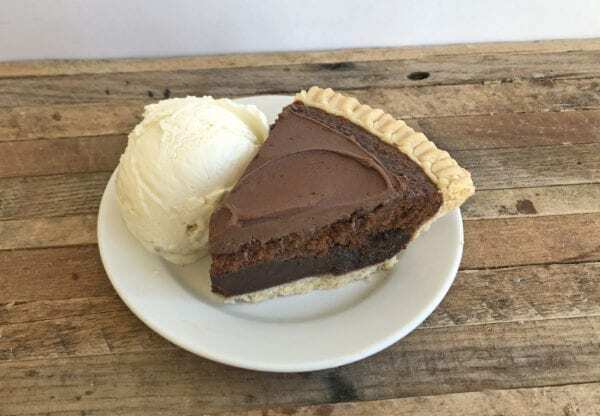 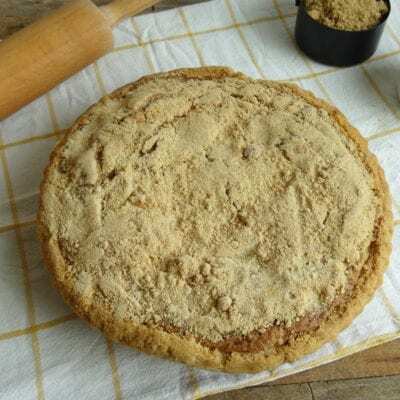 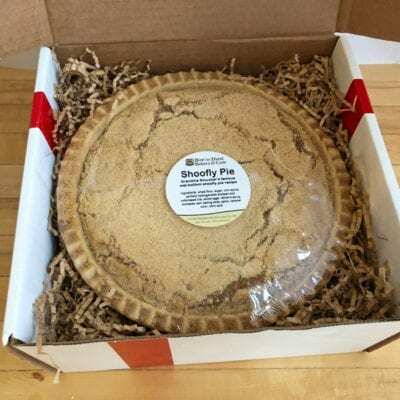 Available only through February 28, this 10-inch two-layer shoofly pie is made from cocoa, sugar, eggs, butter, vanilla, light brown sugar, flour and cinnamon with chocolate icing in a flavorful scratch-made crust. 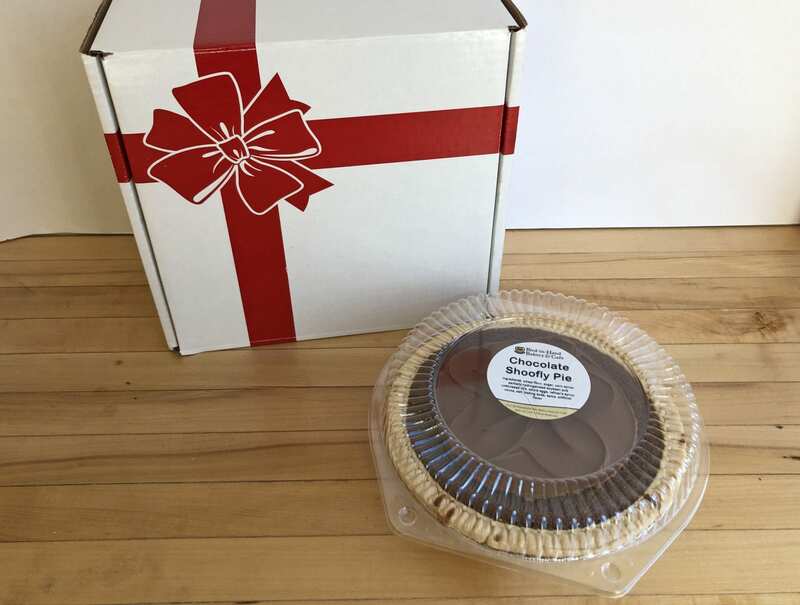 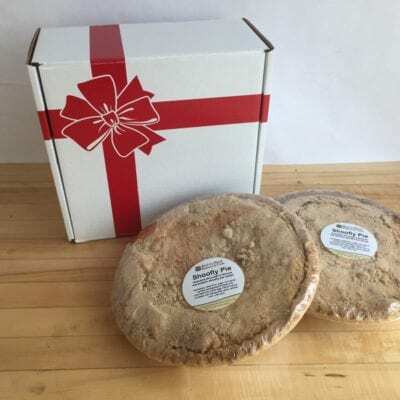 Mail order our Limited-Edition Chocolate Shoofly Pie plain or in a gift box and shipped fresh from our Lancaster County bakery.